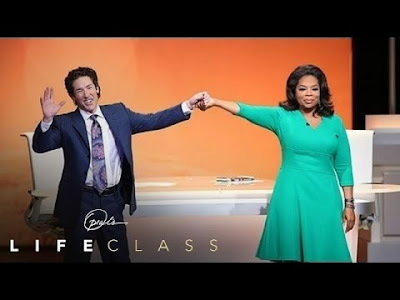 What Do Joel Osteen's Prosperity Gospel and The Law of Attraction Have in Common? 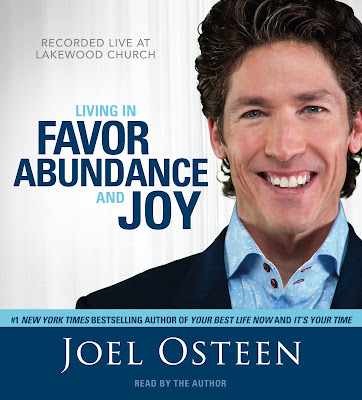 The cover of Joel Osteen's Living in Favor, Abundance and Joy audiobook. 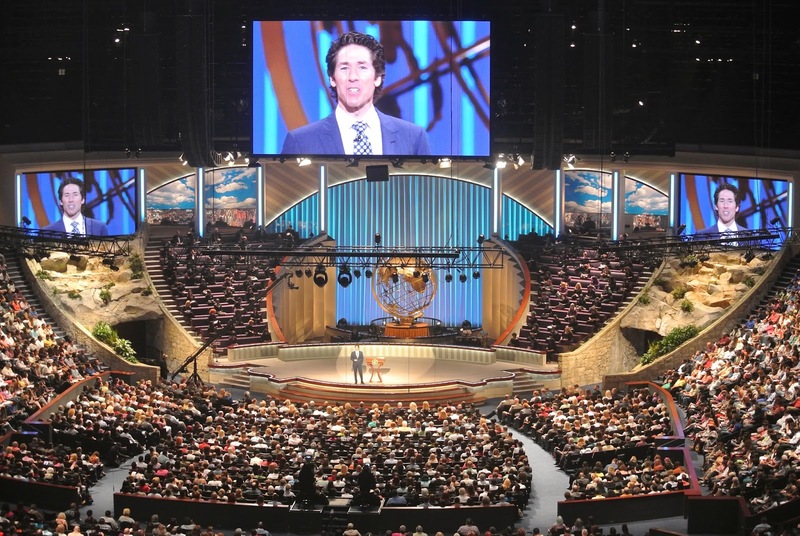 Joel Osteen and his Lakewood Church of Houston, Texas have experienced the wrath of social media users this week. 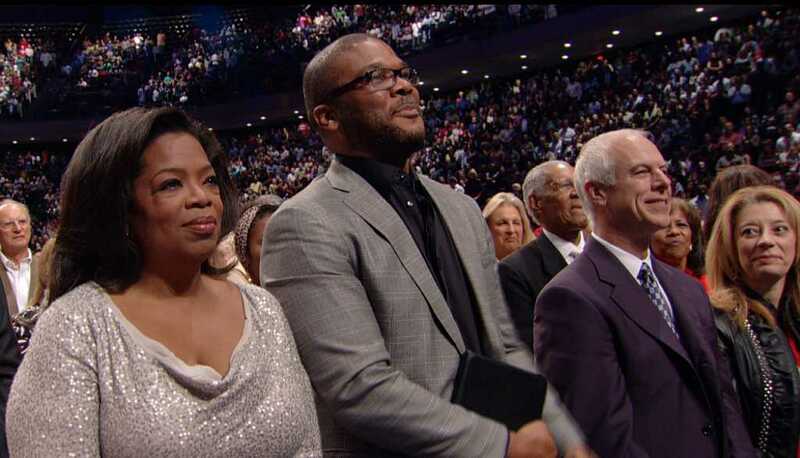 The megachurch and its millionaire leader faced a barrage of accusations that they failed to provide assistance to those who had been displaced following flooding from Hurricane Harvey. Google searches for "Joel Osteen" have risen dramatically in the past few days, as have searches for the type of Christian theology that Osteen preaches: the prosperity gospel. Osteen and other prosperity church leaders uphold the belief that God provides financial abundance to His people. They also believe that sickness and poverty are curses that can be overcome by faith. And faith -- according to their teachings -- is enacted through regular tithing to the church, performing visualizations, and maintaining a positive and joyful outlook. Some prosperity leaders have gone even further. 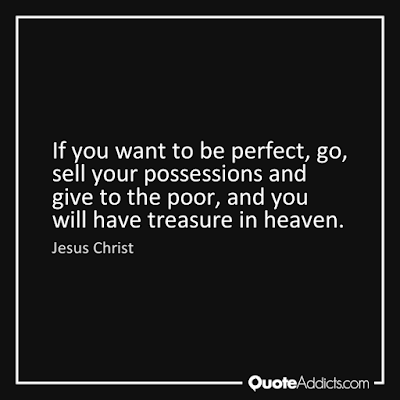 Russell Conwell, an American Baptist minister, founder of Temple University, and early proponent of the ideology of success, equated poverty with sin. Poverty, he unabashedly maintained, was God's punishment on those who had done wrong, and we should not meddle with God's punishment by overly sympathizing with the poor. "Some men say, 'Don't you sympathize with the poor people?" Of course I do, or else I would not have been lecturing these years. I won't give in but what I sympathize with the poor, but the number of poor who are to be sympathized with is very small. To sympathize with a man whom God has punished for his sins, thus to help him when God would still continue a just punishment, is to do wrong, no doubt about it, and we do that more than we help those who are deserving. While we should sympathize with God's poor—that is, those who cannot help themselves—let us remember there is not a poor person in the United States who was not made poor by his own shortcomings, or by the shortcomings of some one else. It is all wrong to be poor, anyhow. "Money is power, money is force ..."
To this day, Conwell remains an inspiration to Christians and non-Christians alike. 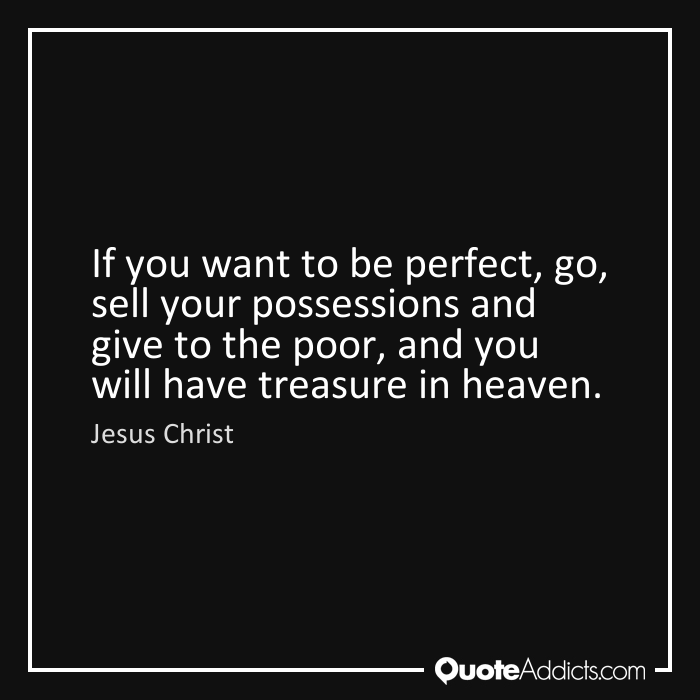 Though the prosperity gospel is not considered part of mainstream Christianity and has come under fire from several Christians over the years for promoting idolatry (of money) and for going against scripture, it has a lot in common with certain philosophical and thought trends that have influenced North Americans for several decades. Those who believe that their thoughts influence their reality in a direct way, for example, or those who adhere to the law of attraction or positive thinking, may be surprised to learn that they have more in common with Joel Osteen and the prosperity gospel than they are likely aware. The law of attraction and the prosperity gospel have one major influence in common: New Thought. In fact, another older name for the law of attraction is New Thought. The New Thought philosophical movement is said to have developed from the writings of Phineas Quimby, a 19th century American spiritual teacher, inventor, faith healer, and mesmerist. Proponents of New Thought believe that illness comes from the mind and can be cured through right thinking. Quimby inspired the founder of Christian Science, Mary Baker Eddy. Christian Science places great emphasis on spiritual healthcare, meaning that "prayer is the first line of treatment when one suffers disease," according to Jocelyn Mackie. 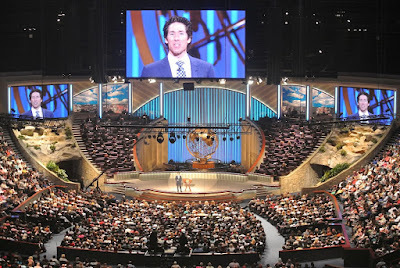 Joel Osteen giving a sermon at Lakewood Church, Houston, Texas. The International New Thought Alliance website states in their Declaration of Principles that "our mental states are carried forward into manifestation and become our experience in daily living." These mental states are said to directly control health, financial standing, relationships, careers, and other important areas of life. The law of attraction has most recently been packaged as The Secret, a self-help book by Rhonda Byrne, and promotes the belief that "by focusing on positive or negative thoughts a person brings positive or negative experiences into their life." Add some Pentecostal platitudes, cherry-pick some scripture, mix in a large amount of what historian Kate Bowler calls American "pragmatism, individualism, and upward mobility," and what do you get? You get the gospel of prosperity, as preached by Joel Osteen and others like him. It is an ideology that has touched countless aspects of American life and media, and has influenced the "Queen of All Media" herself, Oprah Winfrey. "I want to talk to you today about the power of I am," Osteen said in the 2012 sermon that Winfrey said changed her life. "What follows these two simple words will determine what kind of life you live. I am blessed. I am strong, I am healthy. Or, I am slow, I am unattractive, I am a terrible mother. The I ams that are coming out of your mouth will bring either success or failure." Joel Osteen and Oprah Winfrey. "Pastor Joel Osteen says that the words you speak can become your destiny. leads Oprah and the audience in a powerful 'I am' exercise. Could 31 days of positive declarations change your life? Oprah thinks so!" It's the law of attraction -- or New Thought -- in a nutshell. Winfrey went on to use the words "your best life" in countless promotional items, talk show episodes, and live events. She appears to have started using the term after the publication of Joel Osteen's 2004 bestselling book, Your Best Life Now: 7 Steps to Living at Your Full Potential. I am eager to read the audio book of Joel osteen. Living in Favor, Abundance and Joy seems yo be some awesome book.I am looking forward to it. That makes one of us. Ugh.